If you haven’t been, you must go. 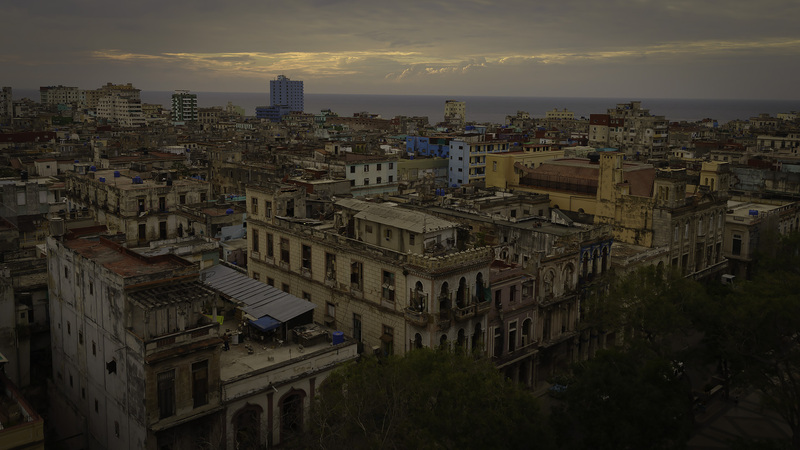 The city of Havana, in spite of its 50-years of neglect, is stunning. Withering facades of colonial buildings with colorful peeling walls, vintage cars that have outlived most humans and the city with so much charm – it’s everything we hoped it would be. Here’s a collection of tips and recommendations from our recent 5-day trip. 1.) Money – Cuba is primarily a cash economy, so you can pretty much tuck your credit cards back in your wallet. The best of class currency is Cuban Convertibles or CUC’s. The Canadian and American dollar will not be accepted so do yourself a favor and exchange your money at home before you leave. In Toronto, we find the best rates are available at Continental Exchange. ATM machines are available, but they do run out of cash. So if your bank card is declined, as ours was, find another machine and give it a try. It worked for us. 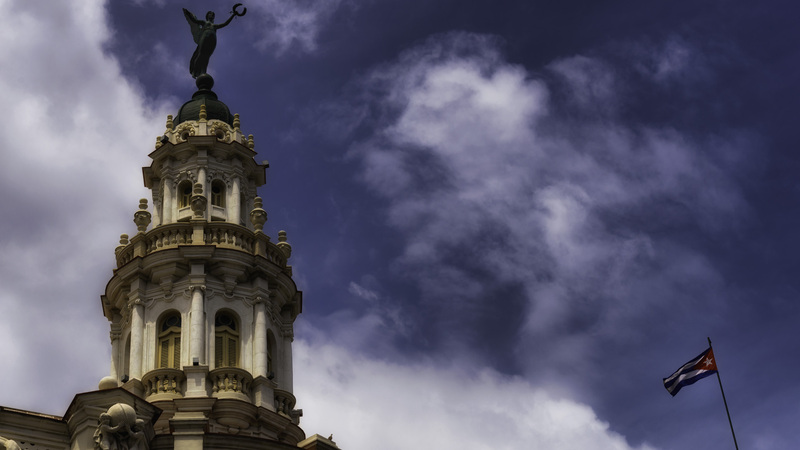 2) Hotel Parque Central – To catch a great view of the city, head to the top floor of Parque Central, located across from the Capitolio and Havana’s Gran Teatro. You can sit by the pool, enjoy a couple of Mojitos and snap some amazing pics of the Havana cityscape. We timed our visit around early evening so we could catch the sun setting over the city. 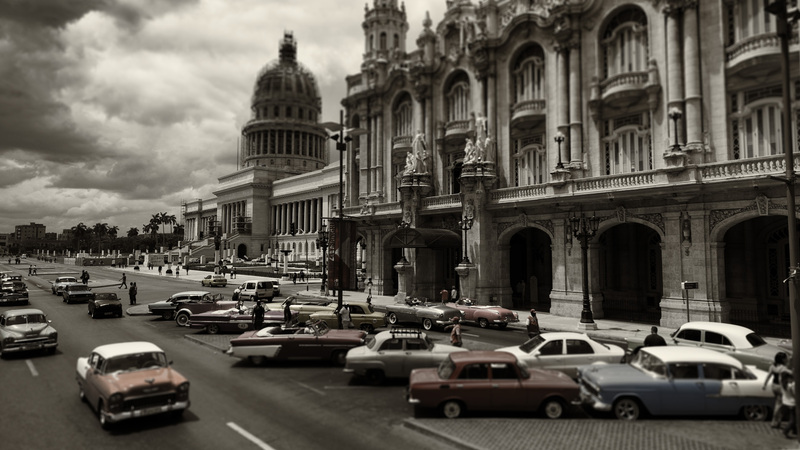 3) Cabs – You won’t need to rent a car in Havana. Roads can be rough (that’s an understatement) and driving can be a challenge. There are two types of taxis. The ‘official’ yellow cabs and our favorites, the vintage collection of restored antique cars including convertibles. But, before you hop into your ride, negotiate a price. 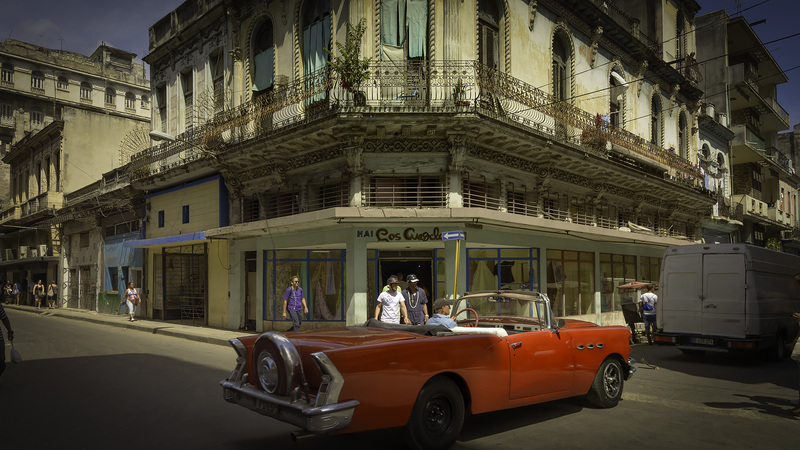 4) Cuban Cigars – What’s a trip to Havana without tasting the flavors of a Montecristo or Cohiba. We took the tour at one of Havana’s oldest cigar factories, Real Fábrica de Tabacos Partagás. Was it worth the $10 CUC admission? Not for this couple, but don’t let that stop you. It was very noisy which made it very difficult to hear and understand our (very Spanish) tour guide. But just a heads up, you have to purchase tickets in advance at the Saratoga or Habana Libre hotels, they are not sold at the factory. One of the surprising disappointments was that you can’t purchase cigars at the factory, you have to visit one of the official government-run shops like the one directly behind the capital building. 5) Service – Slow down. Service can be slower than what you’re used to, just accept it and enjoy the moment. 6) Internet – You might as well leave your cell phones packed away in your suitcase, ’cause internet is pretty much non-existent (at least for now). If you can’t stand being ‘off the grid’ for a few days, you can purchase a wi-fi card that provides a log-in code and password that gives you access to a network. I understand that for a measly 30 minutes or so, it’s expensive and the lineups are long to purchase them. There are a few wi-fi zones in Havana, you can find a list here. 7) Accommodation – For a glimpse of real Havana and a chance to put your money directly into the pockets of real working class Cubans, I’d highly recommend staying at an Airbnb or guest house. We deliberately strayed from the few big hotels and instead enjoyed every moment of our stay in La Habana at Casa Colonial. It was the right choice for us and led to an amazing time. I’ve detailed further information about our accommodation at the back end of this post. 8) Museum of the Revolution – If you’re a history buff, I’d recommend a visit to this former Presidential Palace. The museum descends chronologically from the top floor starting with Cuba’s pre-Columbian culture and extending to the present-day socialist regime. Most of the displays are labeled in Spanish but not all have been translated into English. 9) Safety – We have traveled internationally and like many cities we’ve traveled, you still have to take the usual precautions to avoid crime, but all in all, your time in the Cuban capital will be a very safe one indeed. And during our time in Havana, we did see a lot of police on patrol. 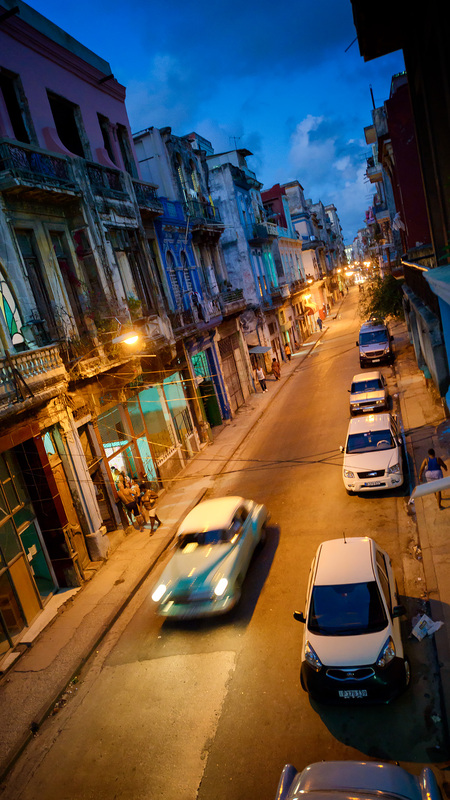 10) Scams – Tourist scams are the bane of travelers in many countries, and Cuba is no exception. Remember to agree on taxi fares before getting in a cab, don’t change money on the street and always check your bill and change in restaurants. But their favorite pastime is selling knock-off cigars to unsuspecting tourists – like you! 11) Medical Insurance – Take a copy of your medical insurance, you may be asked to see it at the airport. 12) Water – Take this precaution and drink bottled water only. We thoroughly enjoyed our stay at Casa Colonial. Click on that link to check their impressive 5/5 reviews on Trip Advisor. From the moment they picked us up at the airport, our hosts Leonardo and his lovely wife Angela welcomed us into their home like we were family. Rooms are well equipped with a private bathroom and fridge stocked with water and Cubas finest Cristal beer (nice touch). For a small fee, a healthy breakfast was served every morning on the balcony which was a great way to start your day. And, on our last night, they treated us to the most delicious lobster dinner! The image below is a view from our balcony.